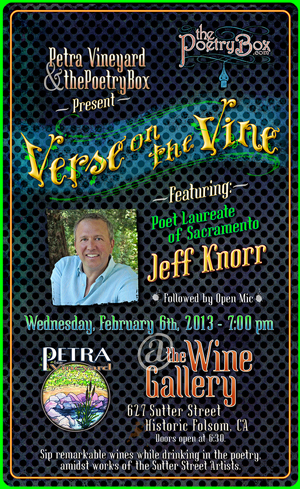 Poet Laureate of Sacramento, Jeff Knorr! Jeff Knorr is the author of the three books of poetry, The Third Body (Cherry Grove Collections), Keeper (Mammoth Books), and Standing Up to the Day (Pecan Grove Press). His poetry and essays have appeared in numerous literary journals and anthologies including Chelsea, Connecticut Review, The Journal, North American Review, Red Rock Review, Barrow Street, and Like Thunder: Poets Respond to Violence in America (University of Iowa). Jeff has edited, judged, and been a visiting writer for various conferences and festivals. He was the founding co-editor and poetry editor of the Clackamas Literary Review. 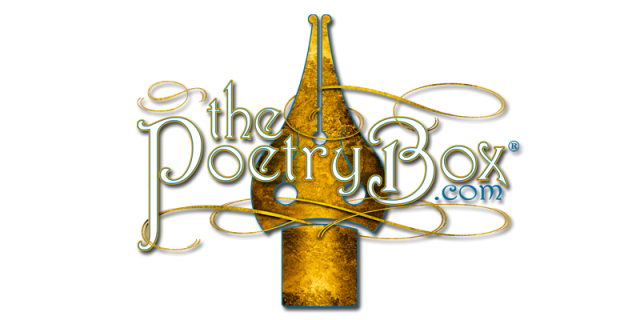 He has also been an invited judge for contests such as the DeNovo First Book Contest, the Willamette Award in Poetry and the Red Rock Poetry Award. He has appeared as a visiting writer at such venues and festivals as Wordstock, University of Pennsylvania’s Kelly Writer’s House, The Des Moines Festival of Literary Arts, and CSU Sacramento’s Summer Writers Conference. He currently directs the River City Writer’s Series at Sacramento City College. Jeff has been the Chair of the English department at Sacramento City College and he has also served on the Sacramento County Office of Education Arts Advisory Board. Jeff Knorr lives in Sacramento, California and is Professor of literature and creative writing at Sacramento City College.